Dental professionals can have a tremendous impact on the health of their patients and communities by engaging in advocacy. 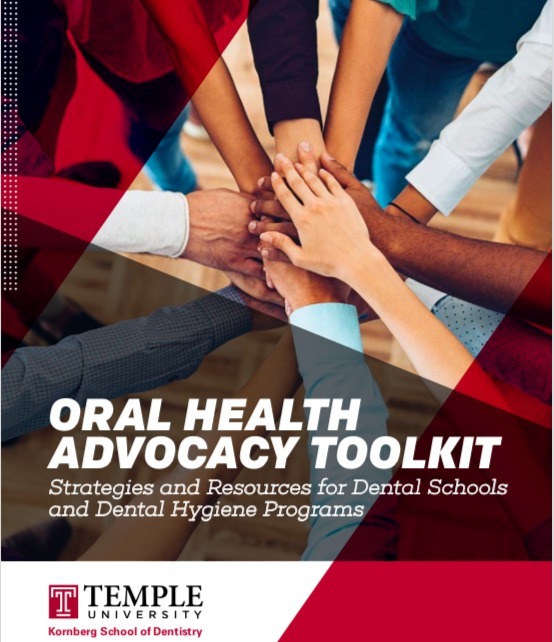 The Children's Dental Health Project assisted Temple University's Kornberg School of Dentistry in producing this Oral Health Advocacy Toolkit to help faculty instill advocacy skills in dental and dental hygiene students. It is primarily designed for dental, dental hygiene, pediatric dental residency, dental public health residency, and other academic programs that wish to initiate and/or integrate oral health advocacy training into their dental curriculum. At the same time, its many lessons and worksheets may enhance the advocacy skills of practitioners within and beyond oral health. Nonprofits and grassroots organizations, associations that represent dental professionals, and those of other health professions can use the toolkit to strengthen their members' oral health advocacy skills.